Now in its tenth year, Tampa Bay&apos;s celebration of the movies brings together actors, producers, directors and movie buffs for days of screenings and discussions. This year&apos;s festival features more than 100 films -- 70 shorts and 40 features. The festival continues its tradition of highlighting films made in or made about Cuba, honoring Tampa Bay&apos;s 130-year-old connection to the island. 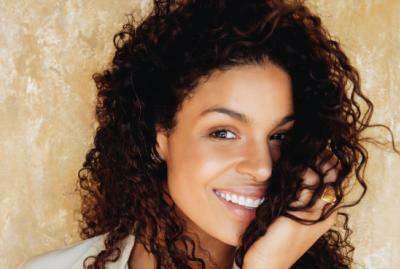 The festival wraps up April 3. The last gasp of this year&apos;s 10-week Gasparilla Season (which started back in January with pirates invading the city) ends with this festival of the cutting edge and bizarre. 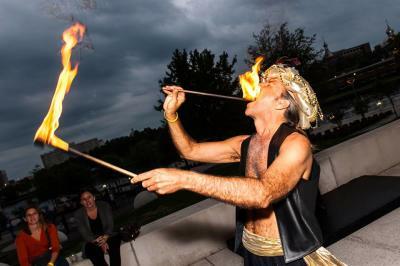 Downtown&apos;s Curtis Hixon Waterfront Park is the setting for fire eaters, free thinkers, performance artists and more. The top competitors in Division I college hockey make their final bids for this year&apos;s championship at Amalie Arena, home to the Stanley Cup-winning Tampa Bay Lightning (yes, Tampa Bay is a hockey town). 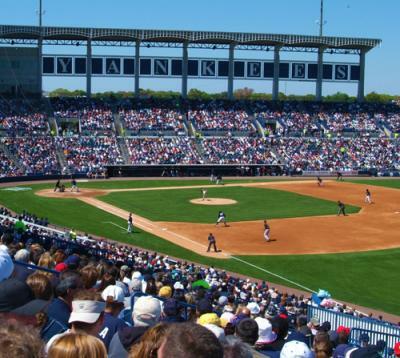 With Spring Training over, Steinbrenner Field becomes the summer home of the Tampa Yankees, the Bronx Bombers&apos; Class A minor league team. Whether you worship at the Church of Baseball or just want a fun and low-cost family night out, you&apos;ll get the chance to say you knew them when as the next generation of Yankees takes to the field. Opera Tampa brings Mozart&apos;s classic tale of the dastardly title character who seems to get away with murder but winds up getting burned in the end. Spanish baritone Carlos Alvarez (above) makes his Opera Tampa debut at the Straz Center for the Performing Arts. The comedic star of TV shows "The Soup" and "Community" takes the stage of Ferguson Hall at the Straz Center for the Performing Arts. 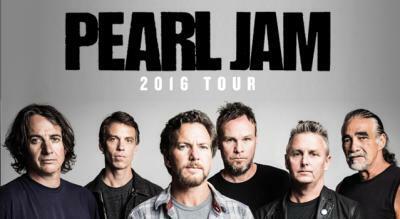 Grunge lives again when Eddie Vedder and Pearl Jam, who helped invent the sound in 1990s Seattle. 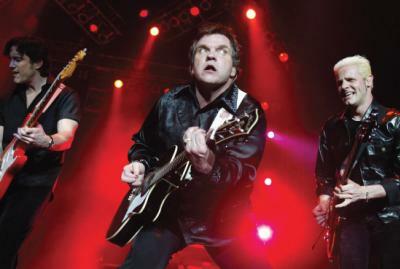 The band marked 25 years together last October. Break out your flannel and come out to Amalie Arena for as they perform the second stop of their North American tour. 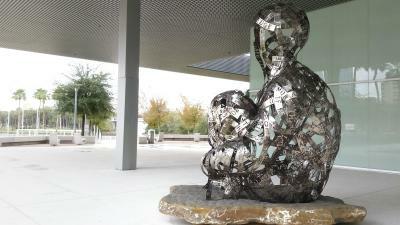 Barcelona artist Jaume Plensa&apos;s enormous sculptures of the human figure abound both inside and outside the Tampa Museum of Art. Contemplate the combination of form and message with this exhibit that runs through May 15. It&apos;s running alongside Public and Private -- The Figure Examined, another traveling exhibit. You won&apos;t need a dashboard light to enjoy this show at during Busch Gardens Tampa Bay&apos;s Food & Wine Festival. Come toast this veteran of stage and screen (just leave the real toast a home, "Rocky Horror Picture Show" fans) with his concert that starts at 6 p.m.
You&apos;ll be amazed what a skilled chef can make out of chocolate. MOSI, the Museum of Science and Industry, shines the scientific spotlight on chocolate while giving visitors a chance to satisfy their sweet tooth while they learn. This year&apos;s show includes chocolate-infused barbecue sauce, beer and much more. 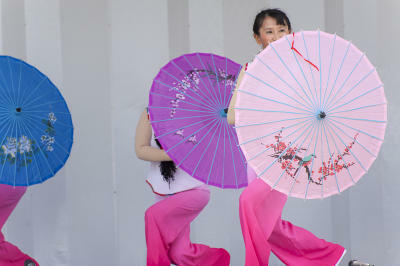 Celebrate Tampa Bay&apos;s diverse and growing Asian community with a party on the waterfront downtown. The schedule includes food, music and cultural demonstrations from 16 countries. The festival runs concurrently with the International Dragon Boat Races and Riverfest. Twenty-person teams pour it on to the beat of a drum, sprinting their dragon boats down Garrison Channel between downtown and Harbour Island. The water-churning races are the perfect complement to Asia Fest going on in Cotanchobee Fort Brooke Park nearby. Watch the races from the Tampa Riverwalk or from the Harbor Island waterfront across the channel. 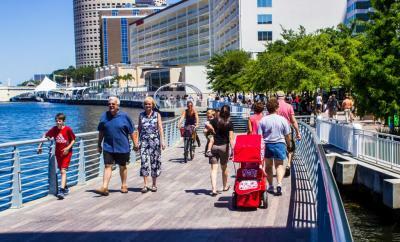 With the completion of the last segment of the Tampa Riverwalk, downtown&apos;s 2.4-mile waterfront thoroughfare becomes an ideal way to explore the best downtown has to offer. Between Uele in the north and the Florida Aquarium in the south, the Riverwalk links restaurants, museums, parks and water activities like gems on a string. Historic Ybor City is the setting for this perennial Tampa Bay music festival, with 40 bands spread among 10 stages for a single night of music and fun. Spoke-word fans will want to sit in on the Poetry Slam.